Why are Prescription Painkillers Dangerous? Widespread use and abuse of prescriptions painkillers is an epidemic problem in America where we consume nearly 80% of prescription painkillers worldwide. Too often, prescription painkillers are considered safe to use because they are prescribed by a physician, but, the following may shed some light on why prescriptions painkillers are dangerous. We can help you find treatment for painkiller addiction. Call 800-584-3274 to find help today. Like opium and heroin, prescription painkillers elicit the same euphoria and side effects, including addiction potentials, compromised physical and psychological health, overdose, and possibly death, based on their potency levels, amounts, the patterns of abuse, and the person who takes them. Morphine is the primary opiate extracted from the opium poppy plant that is used in many of the prescriptions painkillers or by which their structures are based. It is also the primary ingredient of heroin and all of these drugs have the potential to cause long term physical or psychological disorders and even to kill if too much is taken, taken the wrong ways, or taken when they should not have been. How are Prescription Painkillers being Obtained? There are many dangers associated with painkillers, and they should be taken carefully. 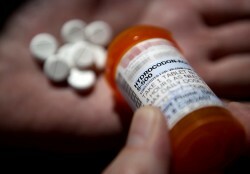 According to the National Institute on Drug Abuse, “Prescription drug abuse is the intentional use of a medication without a prescription; in a way other than as prescribed; or for the experience or feeling it causes.” Because prescription painkillers produce euphoria, sedation, and a calming effect, in addition to the relief of pain, they are a primary choice of drugs being abused. It doesn’t take long for a person to develop a tolerance where more of the drug is needed to elicit the desired effects leading to both physical and psychological dependence. Withdrawals occur when the person attempts to cease use and often perpetuates continuous use to avoid the unpleasant and painful symptoms. For help overcoming an addiction to painkillers call 800-584-3274 toll free today. Individuals who continue using prescription painkillers despite adverse consequences to themselves or others often, have no intentions or desires to do so, but, have uncontrollable cravings and compulsions to use that is the nature of addiction. In order to sustain their habit and feel “well”, they may resort to purchasing the drugs on the street, IV use, or crimes including theft, forgeries, and prostitution. Prescription painkiller addiction is truly no different than heroin addictions and users may alternate between the two when one or the other is unavailable. In fact, recent trends show that more people who have become addicted to prescription painkillers are converting to heroin use to save money, for its ease of access, and because heroin’s potency levels have dramatically increased over the last couple of decades. Common Side Effects of Opium Use You Don’t Want to Experience - Using opium puts a person at risk for many side effects, which range from drowsiness all the way to death by overdose. The drug is powerful, and its effects can be long-lasting. Heroin Effects, Are they Worse than Opium? - Although they share a common base, the effects of heroin can be said to be worse than those of opium because heroin is highly concentrated and taken in a more dangerous way.